Our society has become so dependent on the use of technology in our everyday lives that technology addiction has become a clinical term. Technology addiction differs from other process addictions in that it is socially acceptable, which makes it harder to know how to deal with technology addiction and recognize it as a serious problem. In her book, “The Power of Off,” Nancy Colier observes “most people check their smartphones 150 times per day, or every six minutes, and young adults send an average of 110 texts a day. Close to 50% percent of smartphone users say that their devices are something they couldn’t live without.” These statistics highlight how normalized technology use has become in just the last few years. 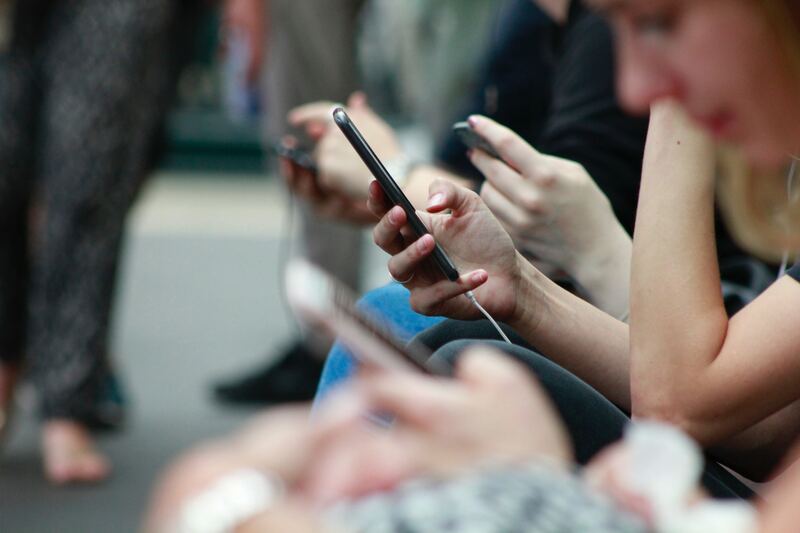 While advances in technology help with productivity, access to information, and social connectedness, teenagers are more likely to use technology inappropriately or less purposefully. Young people who have grown up with technology take it for granted and have learned to navigate corners of the internet more easily than adults. While most people in middle school now have smartphones, almost half of children under the age of eight have their own tablet devices and access to wifi. Technology has become a tool for social and academic survival, however parents are starting to notice possible negative effects technology addiction is having on their child’s development. Excessive media use can lead to learning and attention problems, lack of sleep, and lack of physical activity. Although technology can be a useful educational tool, teenagers need to learn how to use it properly. The internet can supplement their classroom learning, but it also gives teens access to information that is inappropriate for their age. Social media helps us to stay in touch with people virtually, but can impact our ability to show up and be present in relationships in real life. Social media gives the illusion of connectedness from the comfort of our own homes and can lead to social isolation. When teenagers hang out after school, they are spending less time playing outside, doing art, or making music, and more time glued to screens-either their personal devices or a TV screen. While they are more up to date on global current events than previous generation, most of the time young girls spent on the internet is focused on fashion, celebrity news, and gossiping about their friends’ posts. This affects their ability to make meaningful connections based on shared values and personal goals. Social media encourages people to present the best versions of themselves and censor difficulties they may be having in real life. Most advertisements are photoshopped and portray unrealistic expectations of body shape and size. Most forms of media are less likely to feature underrepresented groups and girls struggle to find role models that look like them or that they can relate to. While social media has also become a platform for celebrities to speak out about mental health and self-esteem, it also plays a role in distorting it. Young girls are particularly vulnerable to comparing themselves to their peers and looking for external validation through followers, likes, comments, and retweets. Build Trust. Teenagers want to be trusted as mature and responsible adults. Asking for their passwords or checking their messages can be perceived as an invasion of privacy. Emphasize that you trust they are being responsible with their internet use, but encourage them to be mindful about what they post and who they connect with. Suggest creating a private profile. Remind them that anything they post is permanent, even if they have deleted it. Talk about the pros and cons of social media. Listen to her opinion. Acknowledge that perceptions of social media may be different for your generation than hers. When used appropriately, social media brings together people with similar interests, reduces loneliness, and helps communities stay in touch. Express your fears about its effect on her body image, socialization, and perception of romantic relationships. Talk about the risk of cyberbullying, predators, and hacking as possibilities and ways she can be more safe online. Limit time spent using technology. Restricting internet access is impossible when it is used in classrooms and as a primary form of communication. It is easier for teenagers to follow suggestions than rules as it gives them room to feel like they’re making their own decisions. Instead of threatening taking away their phone or computer for a period of time as a punishment, suggest time doing activities that do not require technology. Suggest charging their phone outside their bedroom at night or putting it in a different room while doing homework. Set up a plan with limited data allowance to teach them responsibility and show them how to monitor their usage so that they can self-adjust. Role model a healthy relationship with screens. Encourage watching TV shows together or putting away phones at the dinner table. Make your own social media accounts and follow your daughter. Instead of using it to monitor what she is posting, post positive things that she is likely to see. Follow accounts that discuss relevant issues in self-esteem, parenting, and things your daughter is interested in so that you can talk about things you’ve read together. Show her how you use your time online to learn new skills, follow news, and answer questions you’re interested in. Asheville Academy for Girls is a therapeutic boarding school for girls ages 10-14. Our students commonly struggle with anxiety, depression, ADHD, learning differences, and attachment issues. We understand how technology addiction affects socialization and personal development in teenagers and help girls reconnect with their personal identity rather than the ideal self they may present on social media. We are a relationship-based program that focuses on building meaningful face-to-face connections through teamwork, group therapy, experiential activities, and small classrooms.